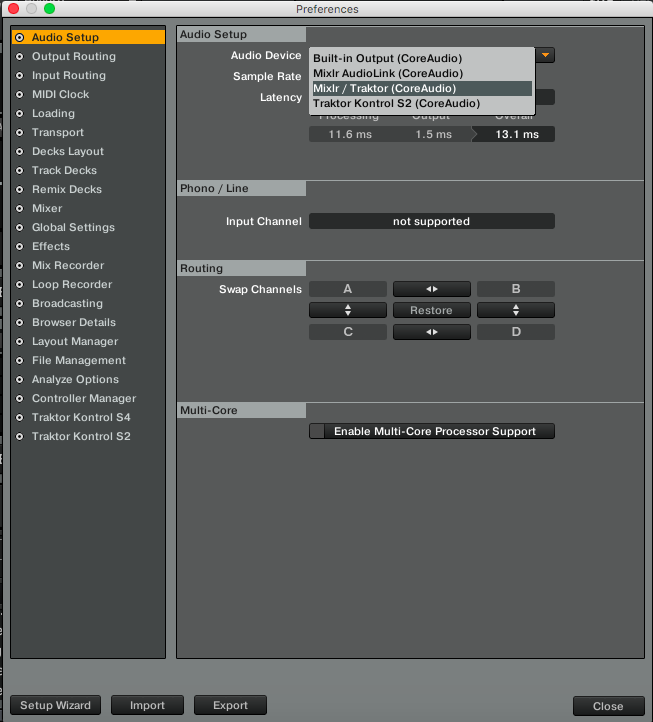 This article will explain how to broadcast your Traktor mix with Mixlr. 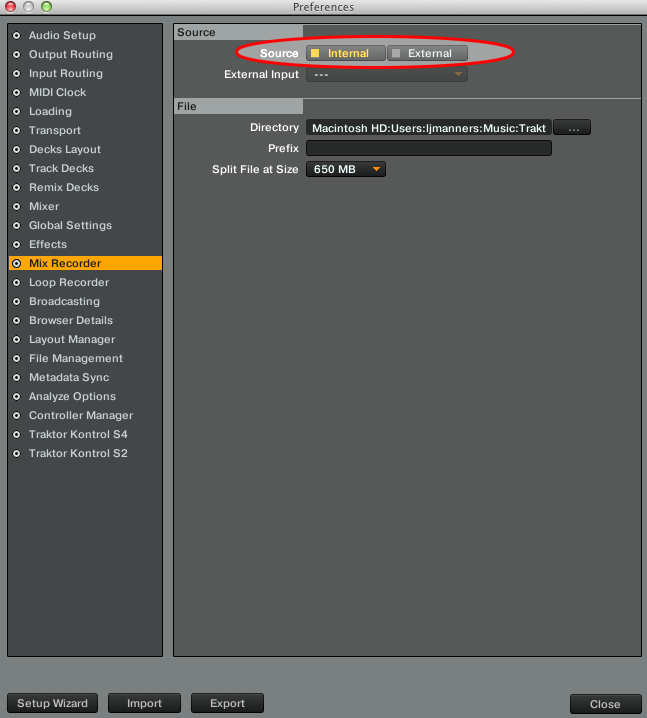 This article is for using the Traktor S2 controller with Mac. 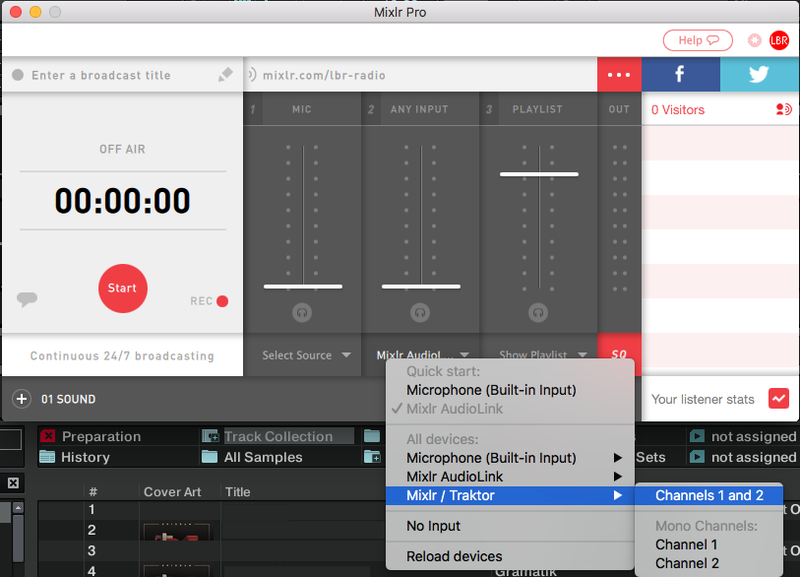 As the S2 has no available inputs, you will need to set up an Aggregate Device and use Mixlr AudioLink to route the audio between the S2 and Mixlr. These instructions would apply to any MIDI controller with no inputs. 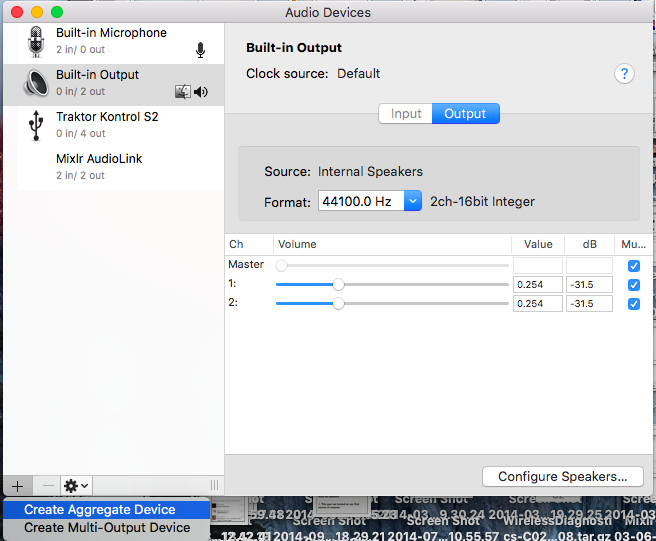 Go to 'Audio Midi Setup' on your Mac, which can be found here. Create a new device by clicking the '+' icon in the bottom left-hand corner, and select 'Create Aggregate Device'. 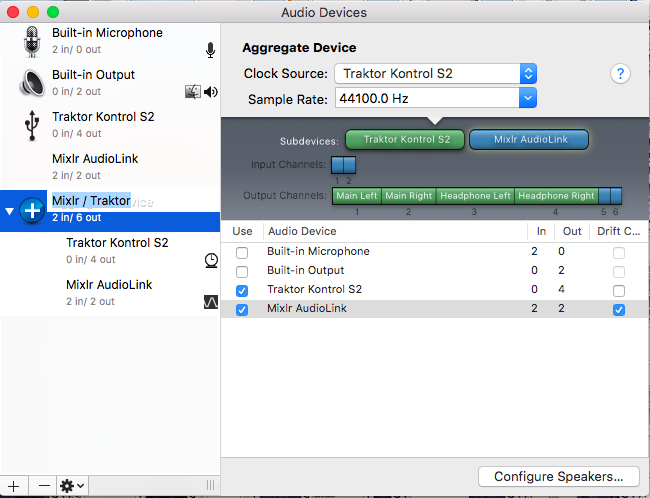 Select to use Traktor Kontrol S2 and Mixlr AudioLink for your new aggregate device. You may want to rename your new aggregate device to make it easier to find later. 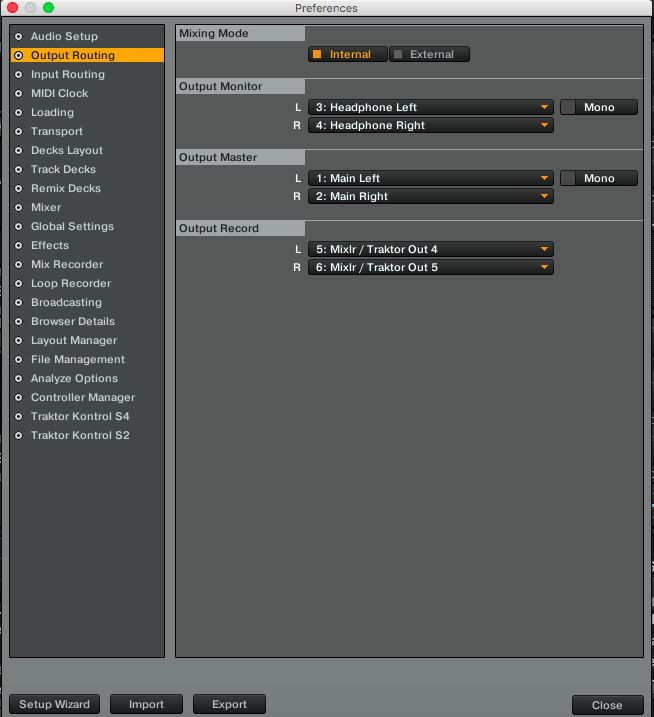 The audio recorder in Traktor needs to show signals coming through, as pictured below. You will not need to press the record button. 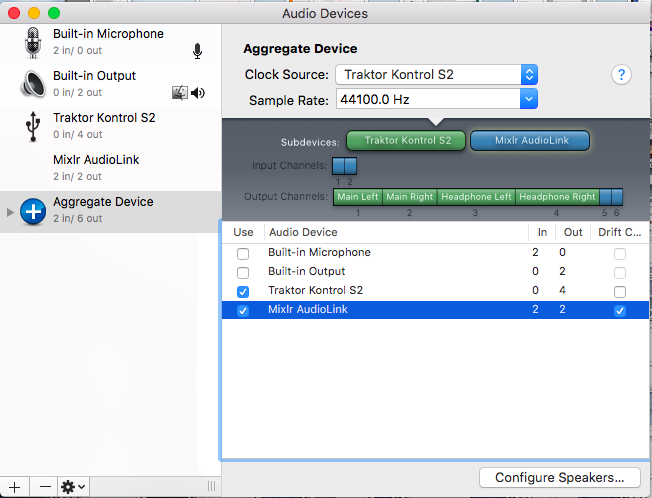 Click 'Select Source' for the MIC or ANY INPUT channel and select 'Mixlr / Traktor [your aggregate device name] > Channels 1 and 2'.